We work with transport providers to help them understand how their infrastructure is actually utilised. We provide software and services to assist with network optimisation, planning, usage and revenue assurance. 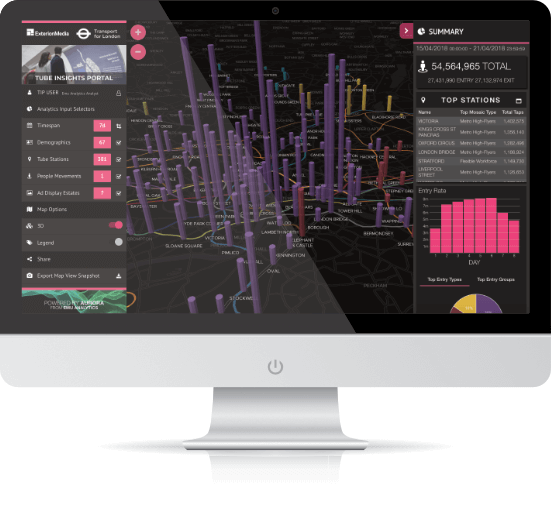 Our software brings Smart Cities to life and enables organisation to quickly and easily harness the power of location insights needed to support smarter infrastructure, smarter services and smarter communities. We help retailers develop new ways to capture and retain customers, maximise their store portfolio and safeguard revenues, all set against a background of economic pressures and competitive challenges. We use location data and insights to approach real estate challenges in a novel way. 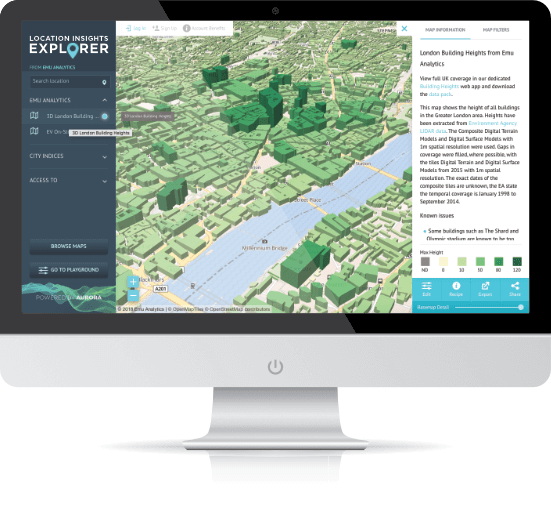 Our techniques support activities such as detailed place analysis, master plan validation and the identification of development opportunities hidden from the competition. Our services and data can support insurers to more accurately assess risk, predict claims and otimise their offerings. Downloading our building heights data for example, offers a rapid infrastructure risk assessment across the country. We work with Mobile Network Operators and other utility providers offering products and services to accelerate the monetisation of their location data. Our software helps operators use their data for social good.